Vail mountain ski resort is about 97 miles West of Denver Colorado in Eagle County on Highway I-70. Vail is the second largest single mountain ski resort in the United States with 5,289 acres of terrain, second only to Park City/Canyons which has over 7,300 acres. Although Vail attendance is high, the mountain is so large that it is possible to avoid lines at the lifts, which is sure to make ski vacations pleasant. 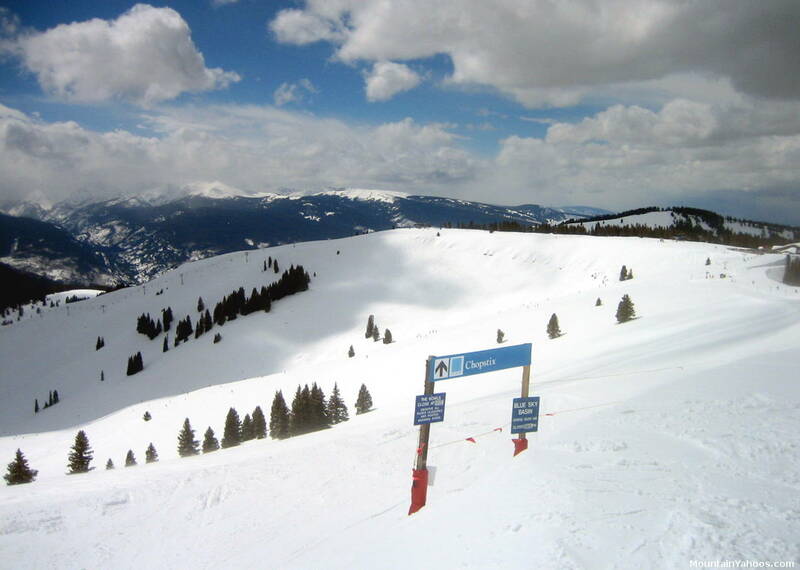 Vail has three distinct mountain sections: Front-Side, the Back Bowls and Blue Sky Basin. Vail village was built with an Austrian style which gives it a unique look for a Colorado resort. 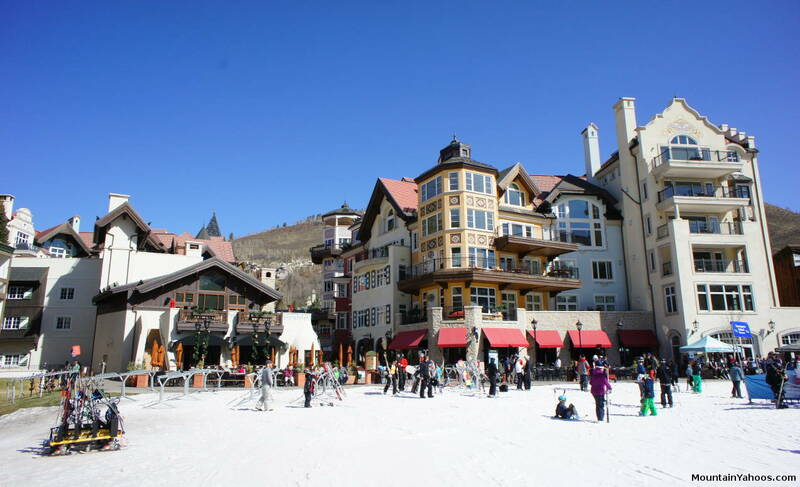 The two main villages have mountain access, the larger and central "Vail Village" and "Lionshead". 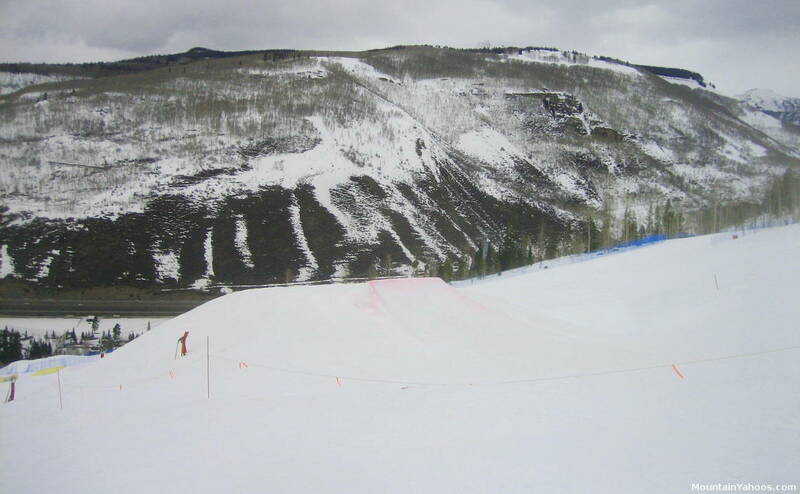 West Vail does not have mountain access. Parking is available at "Vail Village" and "Lionshead" in their very large parking structures. After 3:00 parking is free. Vail was designed to be navigated by foot rather than by car, so it is best to park and then walk. A free town bus hauls people along the frontage road to alleviate any potentially long walks between villages or parking areas. 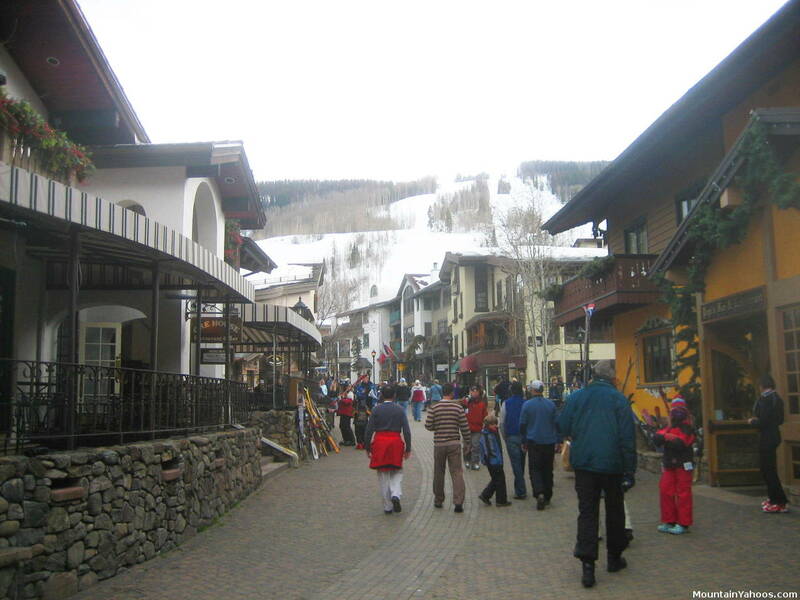 Vail Colorado is a wonderful ski resort mountain with a wonderful village. Vail is famous for its four back bowls. They are vast which is great on fresh powder days as everyone gets a fresh line. 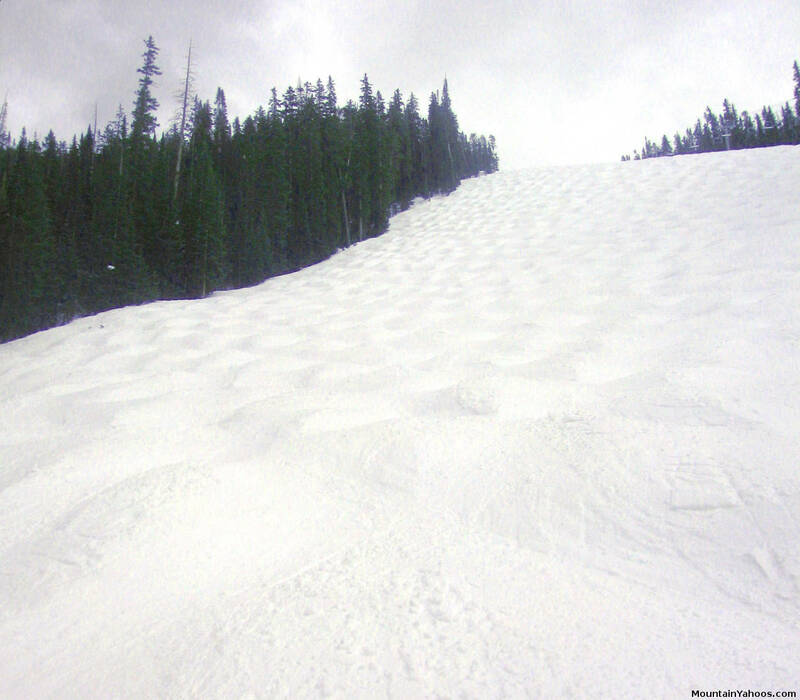 The back bowls are mostly open gentle terrain with peaks above the tree line. Blue Sky Basin bowls are wooded with trails cut through the woods. While moguls form anywhere the terrain is steep and skiers turn frequently, "Highline" is definitely Vail's premier mogul run. It's long and bumpy. "Shangri-La Glade" by the Orient Express lift on the edge of China bowl is one of my favorite tree sections at Vail. To find the best line, follow along the top of the tree line and enter the trees later rather than early. 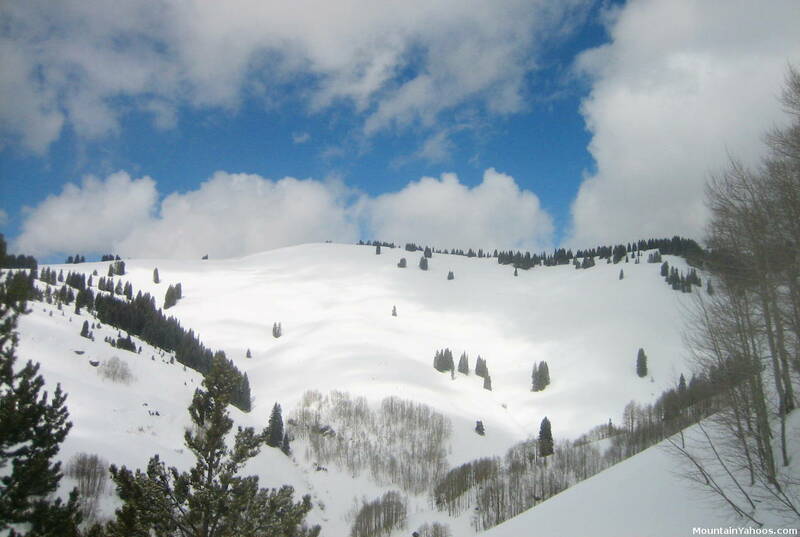 There is plenty of skiable tree covered terrain in Vail. 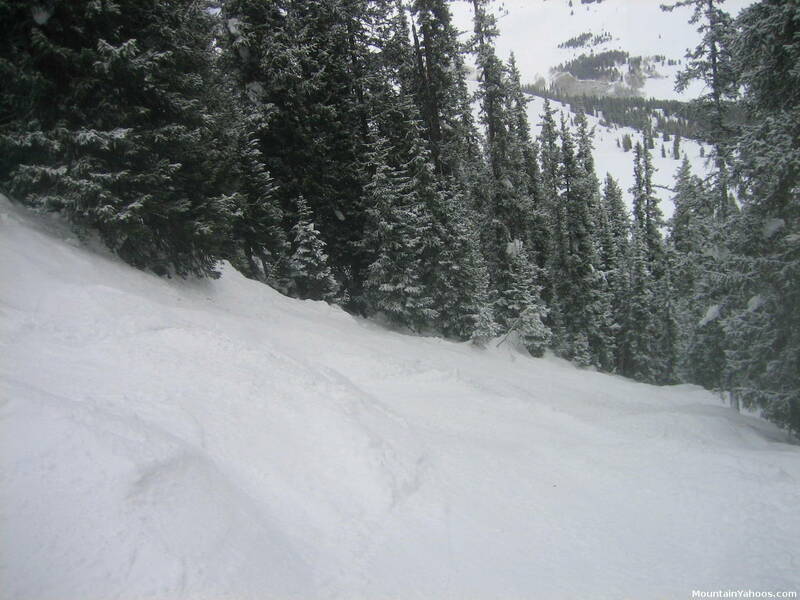 For a more challenging run through the trees, try "Skree Field" and "Steep and & Deep" off of Skyline Express lift. These runs are more like narrow steep bump runs. I found this to be the most challenging (and fun) part of the mountain. 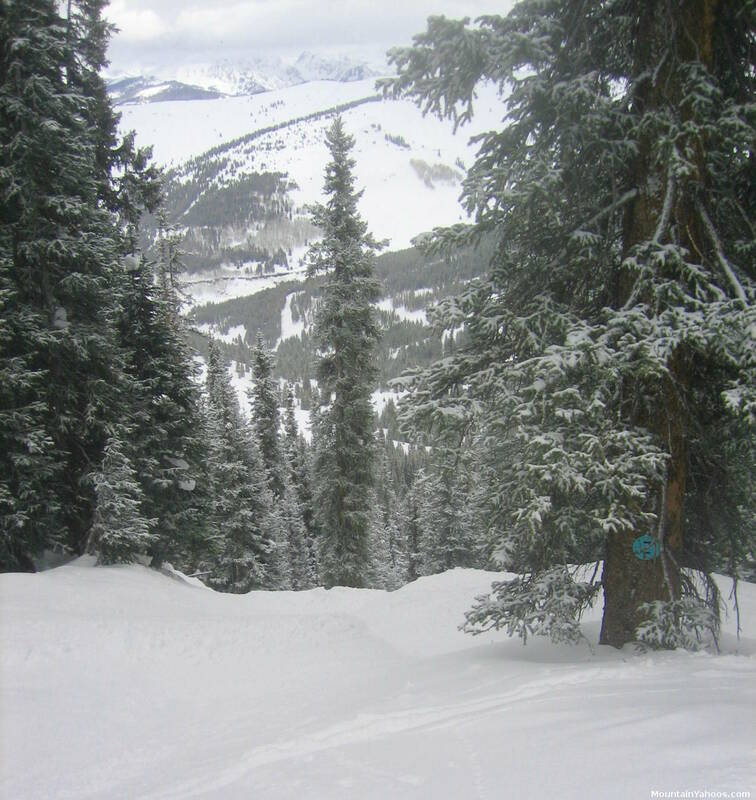 There are beginner and intermediate runs accessible from almost every lift. 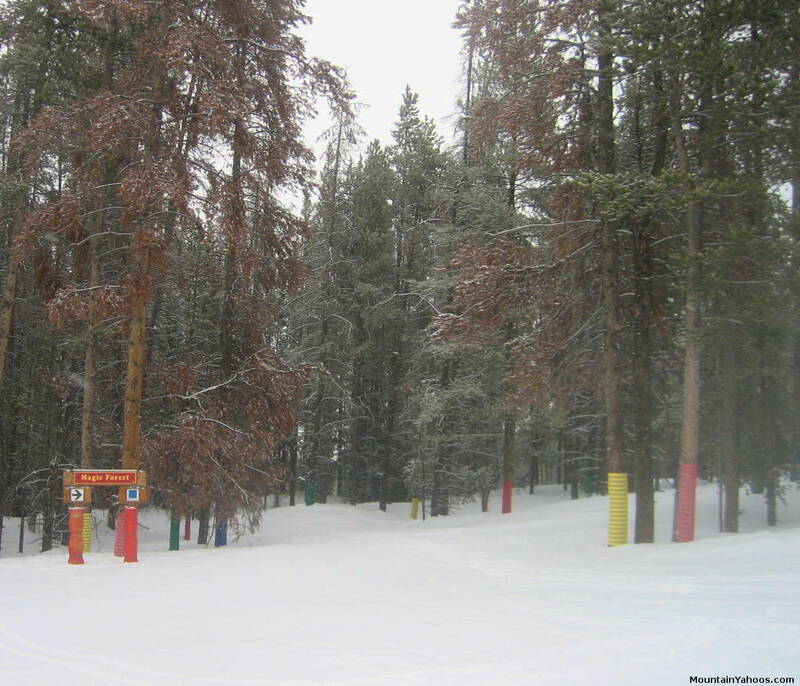 Magic Forest kids ski area. Kids, just follow the colorful bands around the tree trunk to follow the trail. Minturn Mile: In addition to the "East Vail Chutes" there is the better known "Minturn Mile" which begins at a marked Vail backcountry gate and ends at the mellow town of Minturn (on highway 24/Main Street off of I70). Its' actual length is closer to three miles from backcountry gate to Minturn. Start from the top of Game Creek chairlift 7 (or also accessible from lift 3) and ski to the backcountry gate on the Lost Boy catwalk, down the seductive hill of powder (hopefully) till the trail winds along Game Creek (base of bluff), across streams, rocks, fallen trees and hidden stumps. Eventually you get to a long a narrow gully known as the luge. Be careful here as it is narrow and there is little room to turn but lots of places to run into trees. Also make sure there is a good snow base or this trip will hit dirt. It eventually leads to Minturn or for some The Minturn Saloon. Note that this is not within the resort of Vail and thus un-patrolled. Vail can not help you here. One bears the full responsibility of this adventure. Go with a guide who knows the route and bring the proper equipment and avalanche gear. Who needs to focus on terrain parks when this mountain has so much terrain. Boarding across this mountain is the greatest joy. Fly Zone: Features an 18 foot superpipe, jumps and rails. This is the main boarder park located by the "Riva Bahn Express" (6) lift (left side of the trail map). Flight School: This is an intermediate level park featuring a 13 foot half pipe. This park is located next to "Fly Zone" but has its own entrance. Aviator Park: Located under the "Eagle Bahn" gondola on the "Bwana" run, this terrain park has small and medium sized features for those learning and transitioning in skill. Sky Way Park: Located near the top of the mountain off of "Wildwood Express Lift" (3) and offers the low, close to the ground, beginner features to minimize the pain of learning. 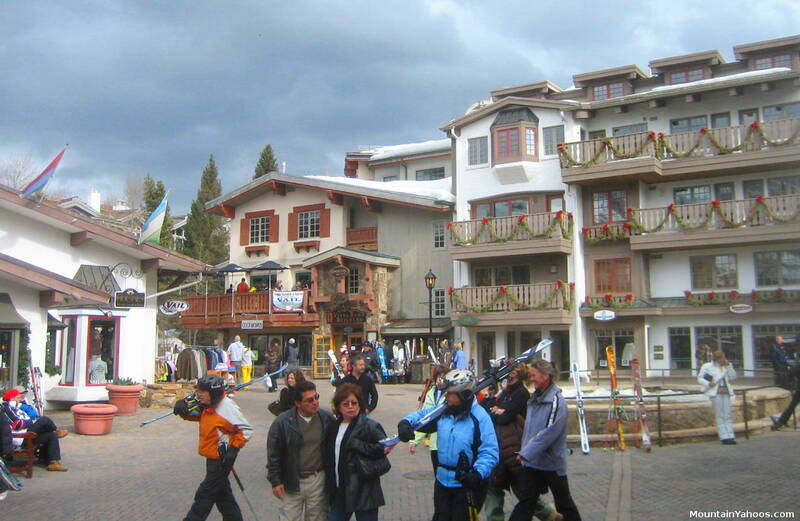 There are two mountain base villages at Vail: Vail Village and Lionshead. Each village follows Austrian ski village and building design motifs. It certainly lets you know you are in a ski village. Vail Village and Lionshead offer a plethora of shops especially for clothing and outdoor mountain wear. Also don't forget the town of Silverthorne off of highway 70 on the way to Vail from Denver as it has an outlet mall complex which is sure to keep any name brand queen happy. Panoramic Virtual Tour of Vail Village from the entrance at the covered bridge to the Vista Bahn lift.